Janet Murray Talk on May 21, 2017, co-organized by University of Utrecht focus area game research and HKU University of the Arts Utrecht Professorship Interactive Narrative Design. Introduction by Rene Glas (UU) and Hartmut Koenitz (HKU). Here is a film that was made for my participation in the the 2015 Future of Storytelling Summit. Television producers are increasingly turning to interactive applications to encourage fans to become more immersed in a series’ storyworld through activities that provoke the active creation of belief. 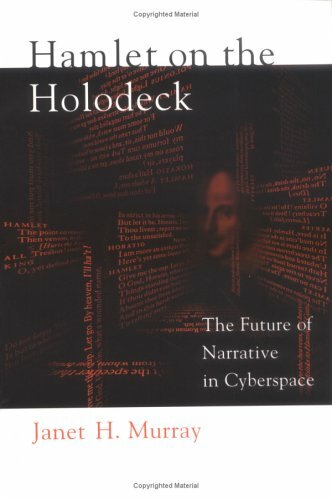 Active Creation of Belief is a design term I first used in Hamlet on the Holodeck, to contrast with Coleridge’s classic term of “suspension of disbelief” and to refute the notion that narrative pleasures are incompatible with interactivity. In a previous post I described “transmedia storytelling” as an interim term for an additive strategy of creating a consistent fictional world across multiple legacy media platforms, like TV and videogames. I expressed an expectation that we will see a unified new genre of storytelling native to the new digital medium, as I described in a previous book. The SyFy TV show Defiance will have an associated MMO set in a different city within the same storyworld.